Late of Harbour Quays, Biggera Waters. Formerly of Banora Point & Toowoomba. Passed away peacefully on Thursday 25th October 2018. Dearly loved Wife of Louis (dec’d). Loved Mother and Mother-in-law of Martin, Karl & Natalie and Anna. Cherished Grandmother of David, Madeline, Tim and Joe. 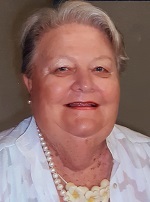 Friends are warmly invited to attend Carmel’s Funeral Service to be held at the All Saints Anglican Church, Murwillumbah, on Thursday 1st November 2018, at 2.00 pm (NSW).